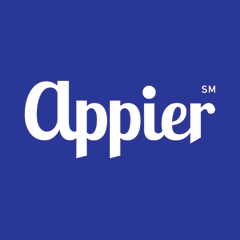 Appier is an artificial intelligence-powered technology company offering cross-screen analytics and marketing solutions to advertisers across the globe. AIQUA is a personalization platform designed for marketing teams that aspire for intelligent engagement. AIQUA uses ai to offer an automated content marketing platform aimed at delivering personalized messages across multiple channels. Engage across mobile app-push notifications, in-app messages, browser-push, sms, email, line messenger and more channels to engage the customer who is ready to buy. Appier is a customer identity tool with CrossX AI, providing information on device ownership while building audience profiles that include attributes such as browsing habits, interests and behavior. Appier offers cross-screen analytics and marketing to advertisers across the globe. Appier enables marketers who wish to identify and buy the best audience for your campaign with Appier’s CrossX Programmatic Platform, which uses AI algorithms to predict cross screen behavior minute by minute.